Lately, I have worked with a number of people with outstanding technical skills whose career growth has been limited by their inability to connect with others. They were referred to me for coaching to provide them with the necessary skills to engage successfully with coworkers, bosses, and customers/clients. People want to hire, work with, promote and do business with others whom they know and like. If you were not born with the “gift of gab,” and many people weren't, you can still learn the skills to connect with others. Here are 10 actions that will help you to be more approachable, and to engage more easily with others in your workplace. 2. Don’t walk into a building or down a hall while talking on your phone. It is easy to ignore people when you are on the phone. You want to greet and acknowledge people. The person to whom you say “hello” on the way to the meeting may be the person sitting next to you during the meeting – and by acknowledging that person in the hall, you have established minor rapport. For those of you thinking about using Google Glass in the workplace, remember that it can make people feel uncomfortable. 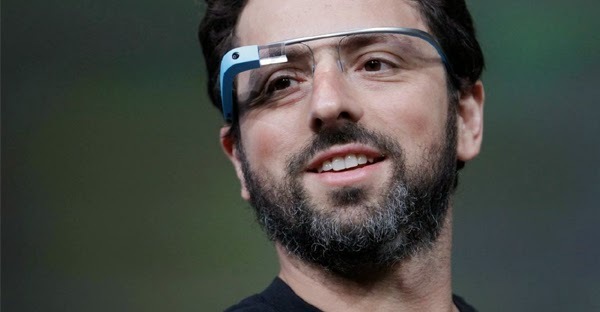 I suggest you read a New York Times article, Google Offers a Guide to Not Being a ‘Creepy’ Google Glass Owner. 3. Convey interest through your body language. Look at the person with whom you are interacting. Maintain a pleasant facial expression and nod occasionally when others are speaking. Additional information on verbal and nonverbal communication can be found in my new book, The Essentials of Business Etiquette: How to Greet, Eat, and Tweet Your Way to Success. 4. Call people. Don’t communicate via email and text exclusively. Calling people on the phone when appropriate creates a more personal connection. Also remember to sound pleasant and enthusiastic. 5. Avoid the “Are you there?” syndrome. If the other person on the phone with you doesn't occasionally use verbal reassurances (such as “Oh,” “I see,” “really,” “okay”), you may be tempted to believe that person isn't listening to you, and feel compelled to say, “Are you there?” Verbal prompts also can be used when talking face-to-face, though less frequently, since your use of body language, as mentioned above, should also convey that you are listening. 6. Take notes with pen and paper. If you use a laptop to take notes, it draws your attention away from the other person. Plus, the raised back cover of the computer becomes a barrier between the two of you. An iPad or tablet can be less intrusive, and pen and paper still work well. 7. Prepare small talk. Knowing a little about topics that are important to your customers and colleagues will make it easier to make conversation. You don’t have to be an expert on every topic, but learn enough to allow you to participate. 8. Remember “The Blue Cord.” You want to use language that your colleagues/customers will understand. Using a big word that someone doesn't recognize when a simpler one is available can distance you from the other person. Some people understand what an “ethernet cord” is, for instance, but others need to be told, “It’s the blue cord.” In my last newsletter, I discussed using the latter phrase to remind yourself to adjust your choice of words for your audience. 9. Mingle with the participants before a meeting or presentation begins. Many people just take a seat and don’t talk to anyone. Be proactive. Go up to people, greet them, shake hands and make conversation. 10. Be social, the old-fashioned way. Go to lunch with people. It’s an opportunity to get to know someone outside of the business environment. Get involved in company activities. You will meet more people, and, depending on the activity—such as a company food drive--possibly help others. These are not the only ways to connect, but they are important ones. As you go through your day, remind yourself of the value of connecting. Soon these actions will become second nature to you. Pachter & Associates provides training and coaching on communication, business etiquette and professional image. For more information, contact Joyce Hoff at 856.751.6141 or joyce@pachter.com. "Great article from Barbara Pachter on ways to connect and engage - even if you're shy!" Love this! Thank you for sharing. Lots in here even the shyest people can do to help them engage more. Learnt. I have been your fan for so long. I have one of your books on Business Etiquette, published many years ago. Wonderful Insight to Simple Courteousies instilled in us by our Parents. Excellent article and valuable information, thank you Barbara for sharing. It’s great to see good information being shared and also to see fresh, creative ideas that have never been done before.Very well explained. I would like to say that it is very interesting to read your blog. Fabulous article, Barbara! Thank you.I especially liked the "Are You There" syndrome, as that is something of which I am guilty. But, I'm also aware that silence might bother others, as well, so when the person on the other end of the phone stops talking I made a noise or say a word to let them know I'm still with them and listening. I think the #1 way to connect with people is to "listen" to what they have to say and engage the conversation around them and not yourself. Instead of thinking about what you are going to say next, pay attention, and then ask questions about what they've said. They will think you are brilliant. It works. Thanks Barbara for the great read. One of the key take aways I got from this are giving people our undivided attention when we talk and meet with them. I also like the idea of not talking on the phone while walking down a hallway, that's something I'm sure many of us have done in the past, sometime we can be in such a rush to take care of a million things but now I see now how it could not be such a good idea. We are an online writing entity, a leading expert in so far as top essay writing services are concerned. You have to be alive to the fact that we give the best in terms of prices as well as quality. someone to write my paper http://www.premieressay.com/write-my-paper that help us more for any kind of writing services. The appointment booking system is going to be popular among the users world wide. With this we can booked something. Payday are here and now credits which are snappy and can be utilized for meeting earnest cash needs, for example, doctor's visit expenses, house or auto repair and then some. Another good thing is that this advance won't be a piece of your record of loan repayment on the off chance that you pay it back on time. Taking out an auto title advance, loan, or yet another charge card isn't the primary decision in getting made up for lost time with our financial plan. So why are there such a variety of auto title advance, payday credit, and portion advance loan specialists out there eager to distribute money overnight with scarcely any inquiries inquired? Mull over both. Numerous candidates don't claim their auto through and through and wind up applying for payday credits. On the off chance that you require a bigger advance and do claim the pink slip, you may find that a title advance would suit your necessities. In the event that they need to see their cash returned, they will need to realize that the borrower is fit for completing appropriate installments.